Listen to our podcasts - "Static Talks"
"Dave Long is one of the few people that really understand ESD flooring. With his indepth knowledge, he educates others on the technical understanding of electro-static discharge." 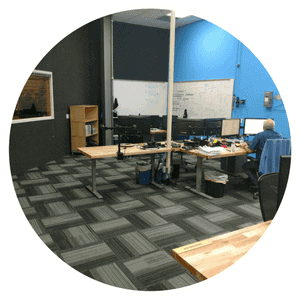 —Steve Bolin, Flooring Resources Inc.
"The Staticworx products were instrumental in our success on the project. The installation process using GroundTack adhesive helped us bid and install static-dissipative tile at a production rate well above our historical levels. Our installers were genuinely impressed with how square, true, and consistent the product was. We are happy, and more importantly, our customers are happy. Staticworx Ameriworx is a superior product and we look forward to working with Staticworx in the future." "You would never know it was ESD, WHICH IS AMAZING! Your product rocks and I'm so glad we were able to find an attractive solution that didn't leave us with some run-of-the-mill ugly disaster in the middle of our workspaces!" "You get to know a man when you see how he stays with you in solving problems on the Job. Dave did just that when we were on a large project where some problems developed. He worked the problems with us and stayed to the end. We now have a very large and successful ESD project on our resume because he is a man of his word. We look forward to our next project with him." — Dale Dorn, Schleis Floor Covering, Inc.
We realize an ESD floor is an investment. 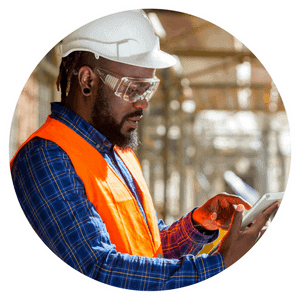 Whether you're an architect, contractor, facility manager, or property owner, you have a lot at stake – time, money, perhaps even your reputation. Regardless of the type of ESD flooring material you choose - rubber, coatings, carpet, vinyl, or interlocking tiles - your ESD floor must be properly grounded. Depending upon your ESD application, your floor must also comply with the parameters for static control flooring outlined in industry standards such as Motorola R56, FAA 019f, ATIS 0600321.2015, UFGS 09 62 38 (Army Corps of Engineers), and ANSI/ESD S 20.20. Grounding an ESD floor is not rocket science. But for optimal performance and to comply with ESD standards, it must be done correctly. This short video provides all the information you need to properly ground your ESD floor. To protect sensitive electronics from ESD you need fault-tolerant static-control flooring that performs consistently - regardless of environmental conditions or variables, such as footwear. Using evidence-based design principles, our comprehensive ESD flooring selector guide gives you the tools and information you need to choose the right floor for your specific application. No standards organizations rate or specify ESD (Static Control) flooring by Levels or classifications of the floor. ESD Flooring is tested and evaluated using industry-specific standards, such as ANSI/ESD, FAA 019f, and Motorola R52, and universal test methods like ASTM. To address critical operations, ESD flooring specs should be based on industry-specific specifications, application and environmental conditions, as well as on the sensitivity classification of electronic components, assemblies and systems. Electronics manufacturing and handling facilities, which mandate the use of special ESD footwear (heel, toe, or sole straps or ESD shoes), require ESD floors to measure below 1.0 x 109. FAA flight tower and E-9-1-1 call center flooring, following standards for environments that used electrified equipment (e.g., Motorola R52 and FAA 019f), must measure 1.0 X 106 to 1.0 X 109 ohms – a more controlled rate of static dissipation. NOTE: Any floor installed in an FAA flight tower, critical call or dispatch center should be verified after installation that it measures within this resistance range. 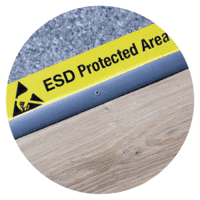 Every application for ESD flooring is different. Without detailed technical knowledge, architects can easily specify the wrong ESD floor. 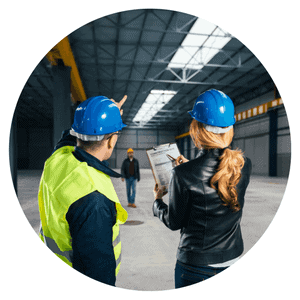 Serve your clients better by learning how to specify the right static- control floor for their application. "All professionals involved in specifying flooring should know about the potential consequences of not specifying the right product and ensuring it is installed properly. Dave's information can help us better protect our clients and avoid potential lawsuits." ~ Michael James McKeon, AIA, LEED AP, MCPPO Kaestle Boos Associates, Inc.
Staticworx is your go-to source for ESD information. We'll help you select & specify the right ESD floor for your application. Our newly launched Static ESD Knowledge Base helps architects, specifiers, contractors, and property managers choose the best static-control flooring for each type of application, helping to meet the specific needs of their clients. On our new kb site, you'll find informational hubs packed with articles tailored specifically to architects and designers; contractors and installers; and property owners and facilities managers. Along with comprehensive articles on static electricity and ESD flooring, you'll find a wide range of technical articles, the latest ESD Standards and Test Methods, plus a complete video library, featuring are our newest technical and cartoon videos. While you're visiting, be sure to stop by our blog for informative posts on static and ESD flooring. Let's start with the definition of ESD: ESD is an abbreviation for electrostatic discharge: the pulse of static electricity that occurs when a charged person contacts another object. Anything from sliding out of a car seat or walking across a static generating floor can build up a dangerous charge. Most associate a static discharge with that sensory "ouch" that we feel and see; the zap, the mini bolt of blue lightening. However, the majority of static discharges, anything below 3500 volts, are totally undetectable to humans. Like common cold germs, ESD events are occurring around us constantly, causing damage to sensitive microelectronics inside computers and electronic devices. The best way to avoid ESD events is to prevent static generation in the first place. In the case of ESD, an ounce of prevention is truly worth a pound of cure. If the environment prevents static generation, it's impossible for an ESD event to occur. A static free environment is created by eliminating normal static generating surfaces like carpet, rubber and tile. We loosely define those surfaces as ESD flooring. Other common names are anti static flooring, static flooring, conductive tile, static resistant flooring, non-static flooring, and grounded floors. What Is Anti Static Flooring? Please note: The term anti-static has been replaced by the more accurate and descriptive term "low charge generating". If you're an architect or designer charged with specifying or selecting a static-control floor, you know that aesthetics is only part of the picture. The most attractive ESD floor will fail if it's specified for an incompatible space or fails to meet the proper industry standards. And product failure can result in liabilities that no architect wants to—or should have to—deal with. By following industry protocols, you can avoid the mistakes that sometimes get specifiers in trouble. Specifying building materials of any kind is a challenge, requiring patience, skill, and a general knowledge of the product and its place in the ecosystem. Providing the right specifications for electrostatic discharge (ESD) preventive flooring presents an opportunity for architects and design/construction professionals to help prevent static-induced equipment failures, electronic product returns, critical communication errors, and personal injuries. 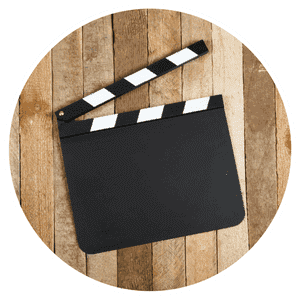 You Are Safe With Staticworx® ESD Anti-Static Protection! All Staticworx® products are shipped in Staticworx® packaging. Mexico, and Canada: Toronto, Montreal, Vancouver, Ottawa, Calgary, Edmonton, Winnipeg, Quebec City, Ontario.